Did the St. Patrick family manage to move on without seeking revenge for the death of Raina? 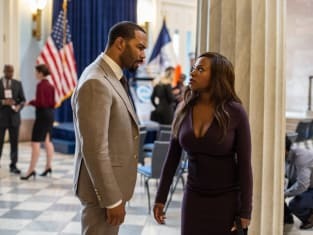 That was revealed on Power Season 5 Episode 2 as it became clearer than ever that the battle lines were drawn. Meanwhile, the AUSA's office discussed whether it was time to end Angela's career and leave her out to pasture. Also, Councilman Tate was put on the outs with his allies when he tried to exploit Raina's death for his own gain. Get caught up on all the latest developments. You know, don't pretend you're a decent guy who cares about his clients, Joe. I do know you care about your daughter. How you gonna take care of her if you can't practice law? Permalink: Sorry about your kid.